Take a close look at how CMC saved this factory in China over US$900,000 on labor alone, without automation. Assembly Lines Re-engineering — Drove line re-organization, with top management, that resulted in increased productivity and speed. Hands-on Training Programs for Managers and Operators — Worked with existing management team and allowed staff to start generating valuable suggestions, and implementing change, in a 6-month training. Training focused a a variety of topics, including basic lean training, preventive maintenance, material control, and more. Development of KPIs — Taught the factory how to set up KPIs for both top-level and middle-management, and even teams of line-workers. This allowed the factory to continue to drive continuous improvement beyond one year. Over this 12-months engagement the factory reduced its cost structure by 1.5 million USD a year. Assembly line re-engineering and improved quality (i.e. less rework) allowed the factory to reduce the number of production operators from 208 to 123. 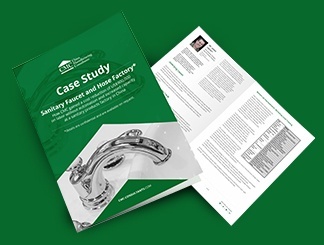 The streamlining of administrative and support processes resulted in 38 fewer indirect workers, and better inventory control resulted in massive savings. On top of all this, the increased capacity meant the factory was able to accept new business, resulting in 1.5 million USD in additional profit. Is your factory also suffering from some of these issues? Read this free in-depth case study and see in detail the tools and techniques that CMC consultants used to create such profits and cost reductions with a view to improving your own operations by implementing some of them where possible, simply fill out the form on this page and click DOWNLOAD NOW.